Strong leadership, no matter how well intentioned and benevolent, can foster dependency and subvert democracy. Yet absence of any leadership can lead to confusion, drift, and tension. As many progressive activists have remarked, there can be a "tyranny of structurelessness" as well as of autocracy. Every organization will solve the problem of leadership in a different way. Some successful co-ops— especially smaller ones—are highly egalitarian. They have no formal leaders and few overt signs of leadership behavior. Other groups do well, at least for a generation, with a single central leader who encourages the members to participate. Many successful groups find middle ground. They reject dominating leaders and also escape the "tyranny of structurelessness." To realize democracy the powers of leaders are limited and divided up—informally or by charter. All members take some responsibility for making the organization work. We all lead— sometimes by motivating others, or contributing solutions to problems, or simply by sharing our experience and knowledge. Here's what we at GEO try to do when in a leadership position. Instead of imposing someone's proposal quickly, we try to figure out how each member can have a role in reaching a decision, and feel that her role is valued. Knowing that some members have more expertise in given areas, we'll give more weight to their views in making decisions in those areas. But everyone can help the group come together to make a decision that all members can stand behind. Matt Grillo's article on decision-making illustrates such full participation. The Cheese Board Bakery and Cheese Shop, featured in the video, Democracy in the Workplace [see below], provides another example. Examples of good "leaders" can be helpful. Father Jose Maria Arrizmendiarietta, inspirer of the Mondragon cooperatives, led by the force of his personality, his faith in people, and his belief in cooperative relationships. 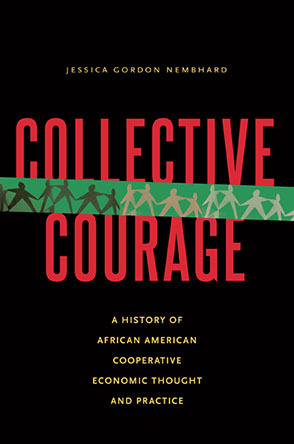 Though he inspired the founding and developing of the co-ops, he never held a formal position. His leadership consisted in challenging and supporting others, helping them to acquire the needed expertise. Those who later rose to leadership followed Father Arrizmendi's model of challenging and supporting their co-workers. Ella Baker, a hero of the civil rights movement, is little known because she preferred to develop and nurture new leaders, rather than place herself in the foreground. "As a leader she was strong and powerful . . . she would lead and be in front. But she also led by the way she listened and questioned . . . you got the feeling that what you felt inside made sense. . . . Miss Baker put nothing in front of teaching others to organize for themselves. She urged us as organizers to understand how to create structures that allowed others in our group to also be leaders." Those chosen to lead need to recognize the temptation to impose decisions. They need to ask, "when I made that decision alone was it just for the good of the organization, or did I get off on the power? Did I lack faith in members' ability to come to wise decisions?" These leaders need to strive deliberately to foster leadership skills in others. Typically, such co-ops encourage and accept what's been called "empowering," or "developmental" leadership that includes all members and fosters our learning and productivity. Equally, co-op members must guard against tendencies either to depend on "leaders" or to rebel automatically against all leadership. As members, we need to act deliberately to constrain leadership excesses, but also to be responsive to constructive challenges from leaders and other members. A crucial tool for those in leadership roles and those responding to leadership is respectful, attentive listening. If our response to a member's words shows that his or her ideas and concerns have been fully understood, this conveys support. On this basis, respectful disagreement can then be introduced constructively. Listening is crucial to democracy in co-ops, and more will be said about it in the next article in this series. A given co-op has many different leadership needs. Members with different skills or qualities can lead in different sectors like production, finance, or marketing, by virtue of their expertise. Others lead by motivating, through their sheer energy or contagious optimism. Some lead by their ability through humor to both ease tension and clarify an issue. Others are turned to for their steadiness and reliability. This division of leadership eases dangers and doesn't leave anyone out. It's important that all members of the co-op have the chance for personal and skill development that leadership affords. In co-ops where jobs are rotated, some members will discover leadership talents they did not know they had, and acquire the expertise to lead effectively. Members in co-ops where democratic empowering leadership and participation have been achieved find a climate of relaxation, camaraderie, and a capacity to rise to the occasion in the face of novel situations, challenges and crises. Please share with us examples from your own co-ops of shared, developmental and empowering leadership—and also examples of dysfunctional leadership that teach us what pitfalls to avoid. These submissions will be printed in future issues.